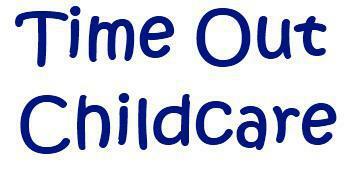 Time Out Childcare started in 1998 and has five clubs based within local schools. We are based within Locks Heath Junior School, looking after children of primary school age, who attend the Locks Heath Infant and Junior schools. We are registered with OfSTED to provide sessional care for children of mixed gender and races. We are open Monday to Friday during term-time, for Breakfast from 07.30 until school starts and for After School from the end of the school day until 18.00. We do not open on school closure days, if both schools are closed. Each session costs £5.00 for Breakfast and £9.25 for After School (prices are reviewed in December of each year) inclusive of breakfast or a light tea and all our many activities – including arts and crafts, Playstation 2, Game Boys, role play, board games and lots lots more. Each child place is offered on a first come first serve basis, with a fully active waiting list in operation. Whenever a full-time place is requested, this will take priority over part time/occasional places. Siblings of children already in the club will also have priority. During most of the school holidays, we also open at our St John’s club from 07:30 – 18:00, for children aged from 4 – 12 years from all schools, for full and half day care. Further details are available by calling into the clubroom or telephoning 07752 372165 between the hours of 07:30 and 09:00 or 15:00 and 18:00. Or between 09:00 and 15:00 (weekdays) – calling Jacqui on 07715 118752.